Black Box Analog sync/async dialup or leased line V.36 modem DC power by Black Box at Pacs BG. MPN: MD1000A-DC. Hurry! Limited time offer. Offer valid only while supplies last. Analog 232 sync/async dialup or leased line V.36 modem, with abundant security features. Programmable dialback security remembers codes for 50 nodes. 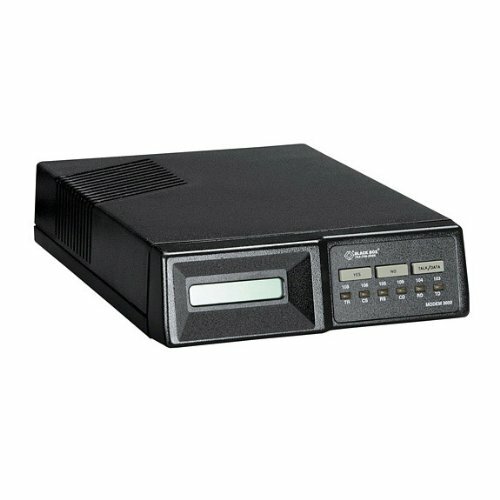 Analog 232 sync/async dialup or leased line V.36 modem, with abundant security features. Programmable dialback security remembers codes for 50 nodes. The Modem 3600 sends data at up to 33.6 kbps, and it can provide throughput rates up to 230.4 kbps. Dialup or 2-/4-wire leased line. Exceptional choice for managing wide-ranging access to a central host or network. Sends data at up to 33.6 kbps. Provides throughput rates up to 230.4 kbps.